The Life Amendment extends the meaning of the word person, as used in the 5th & 14th Amendments, to include all living human beings. The Constitution of the United States of America is the primary legal document of the nation. As such, it sets forth all the functions of the American government. Also included are instructions for revising the Constitution by means of amendments. Each amendment must be passed by two-thirds of both Houses of Congress, and ratified by three-quarters of the States. Since the Constitution was enacted, there have been twenty-seven amendments. Now greatly needed is a Constitutional Amendment for Life, protecting human life from conception to death. 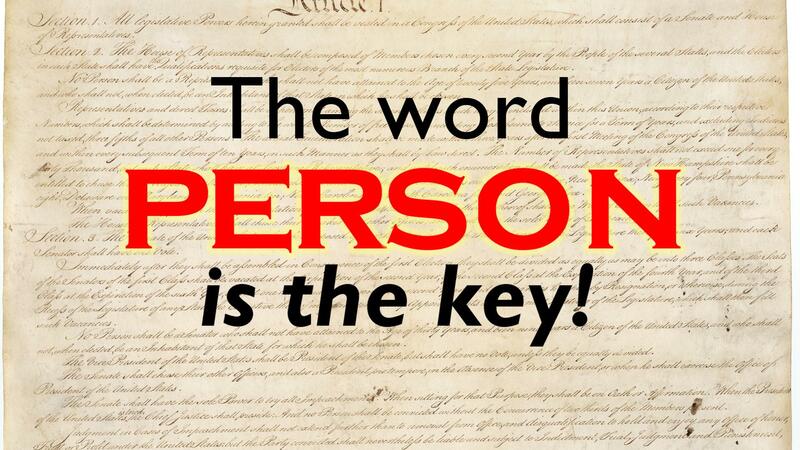 The word person is the key to this amendment. A summary of the pro-life movement, and a call for a Constitutional Life Amendment. A description of the many important ways that the Life Amendment will improve the American culture and Life Style. The political procedure America must go through to enact the Constitutional Life Amendment. A Biblical and historical analysis of how to awaken the Evangelical Church to fulfill the Great Commission and transform American society. Q2. Why is a Life Amendment imperative from a Biblical perspective? Q16. 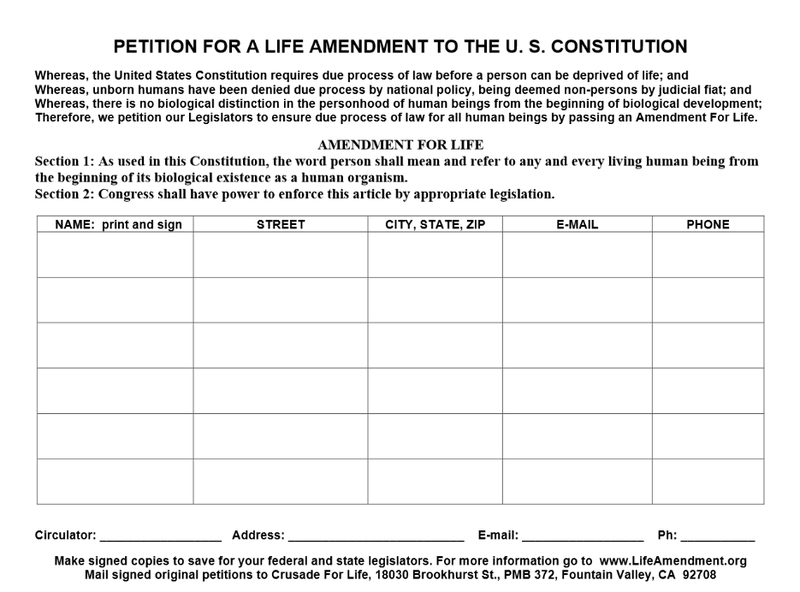 How does the Life Amendment relate to the rest of the pro-life movement? A16. In the midst of diverse efforts to save babies and moms from abortion, the Life Amendment gives hope to the pro-life movement at large, by showing that a very realistic end game strategy can result in a final end to our national policy of shedding innocent blood. If you have a question we have not yet answered, you may submit it here.